Alo Apparel Size Chart Find peace in this Alo® Mantra Long sleeve. Slim fit stays in place during practice. Antimicrobial properties help keep funk at bay. Crew neckline. 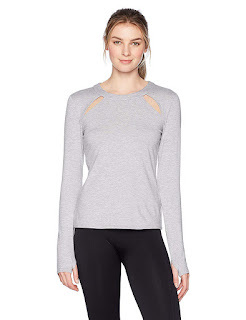 Long sleeves with cutout detail. Straight hem. 94% polyester, 6% spandex. Machine wash, tumble dry. Imported. Measurements: Length: 24 in Product measurements were taken using size SM. Please note that measurements may vary by size.